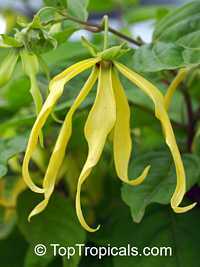 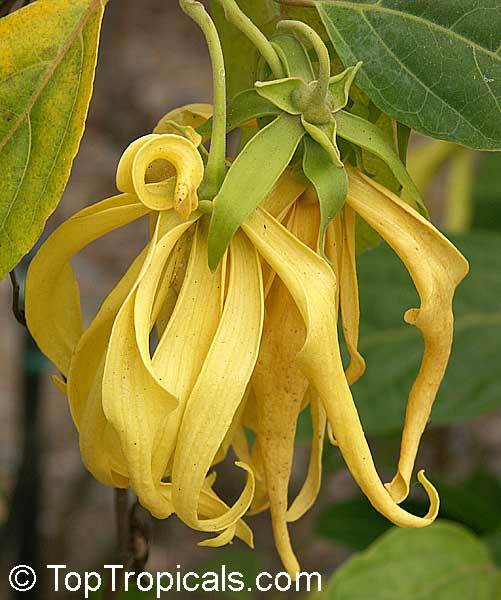 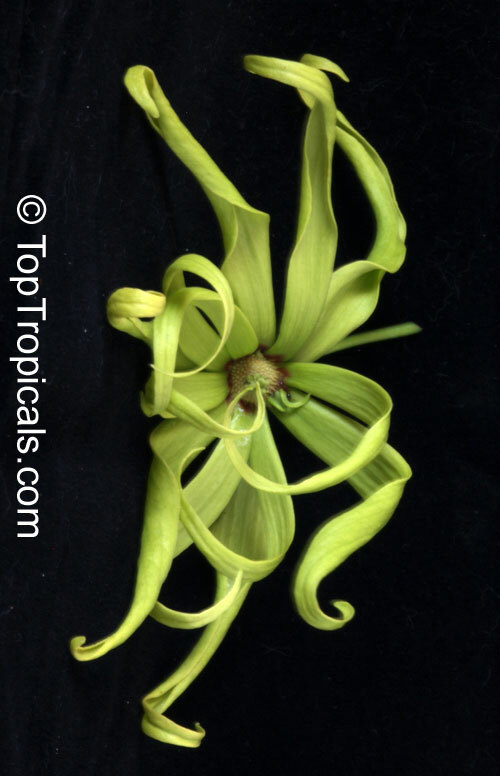 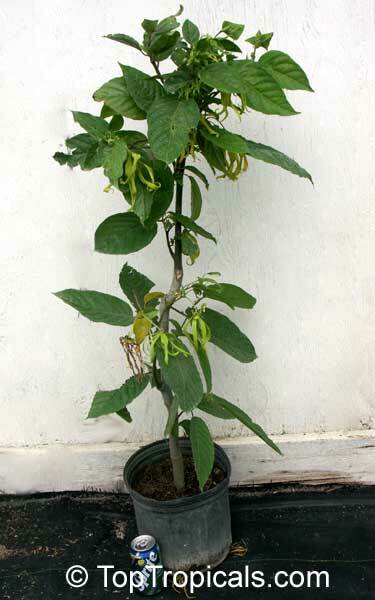 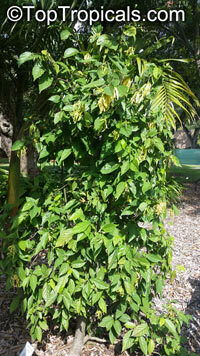 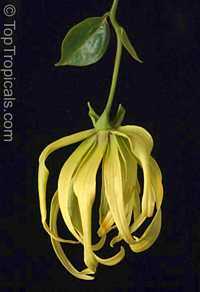 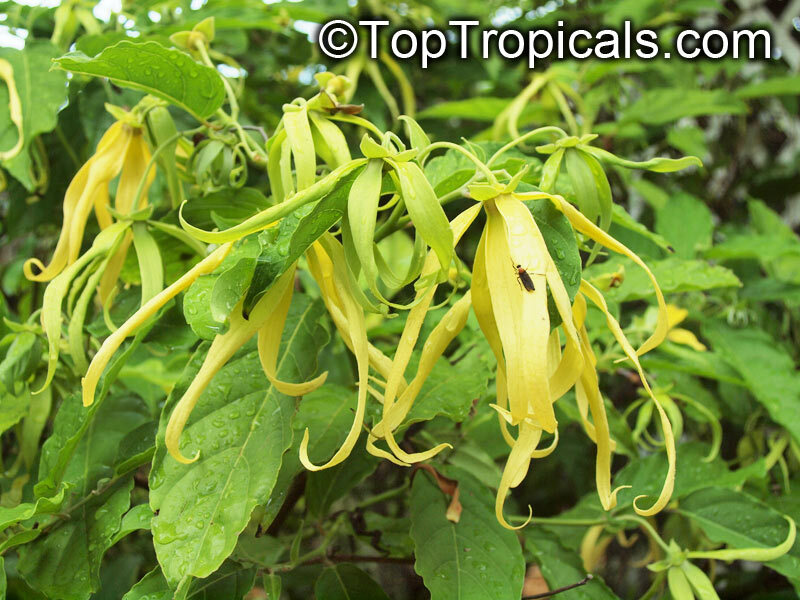 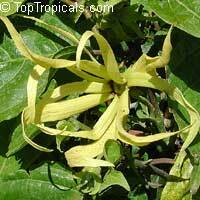 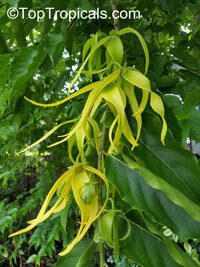 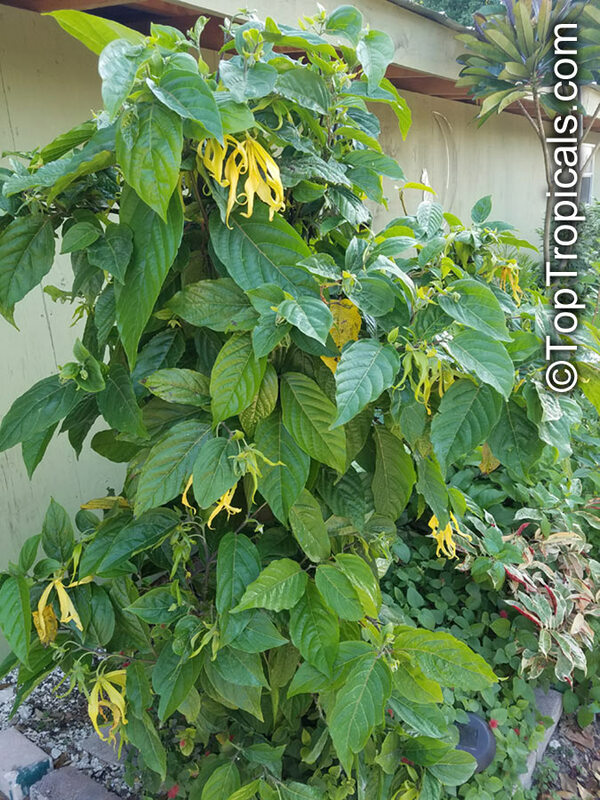 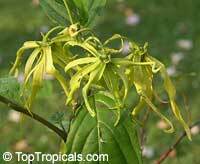 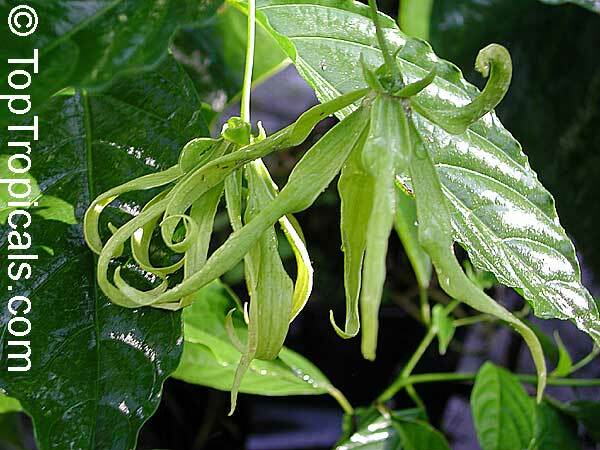 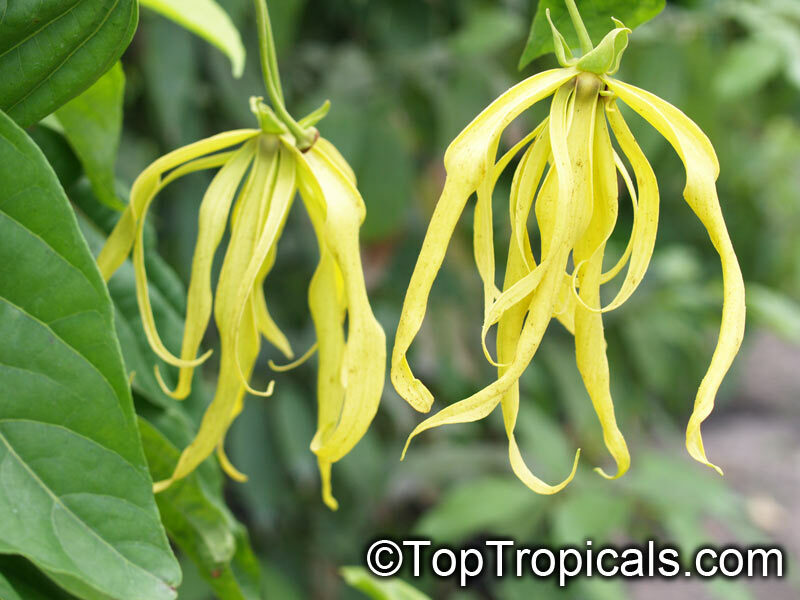 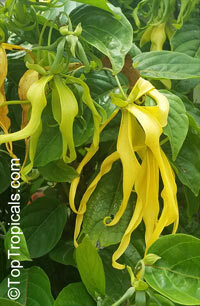 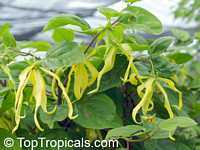 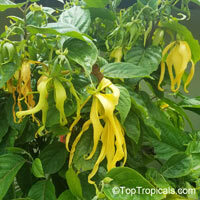 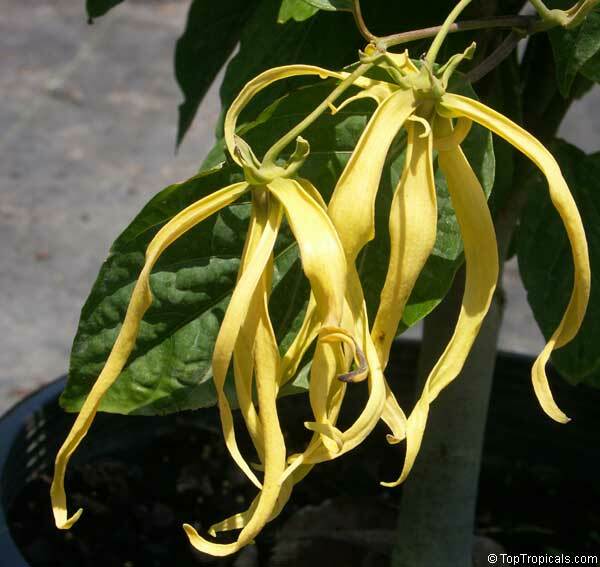 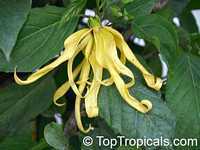 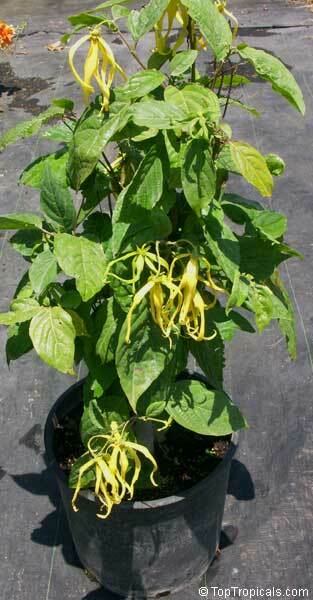 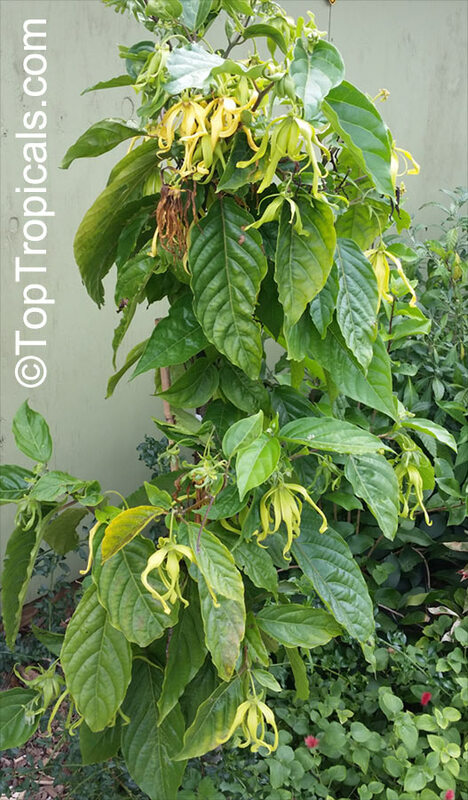 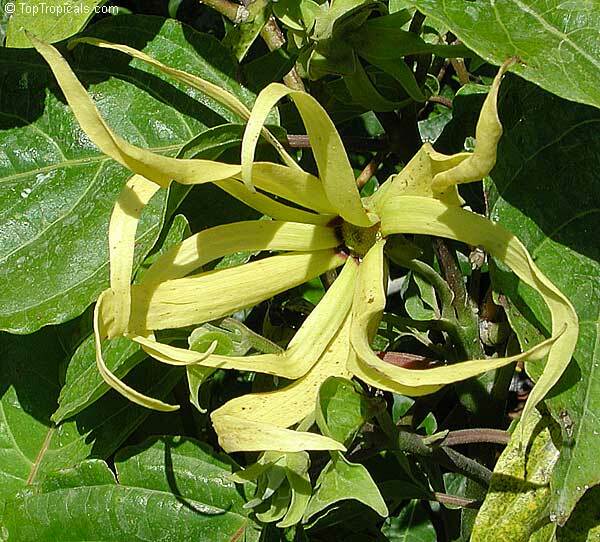 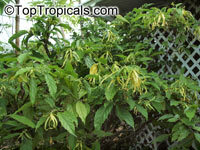 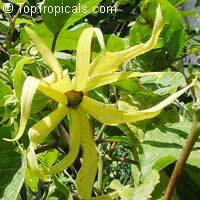 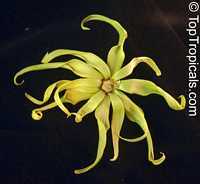 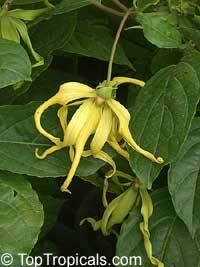 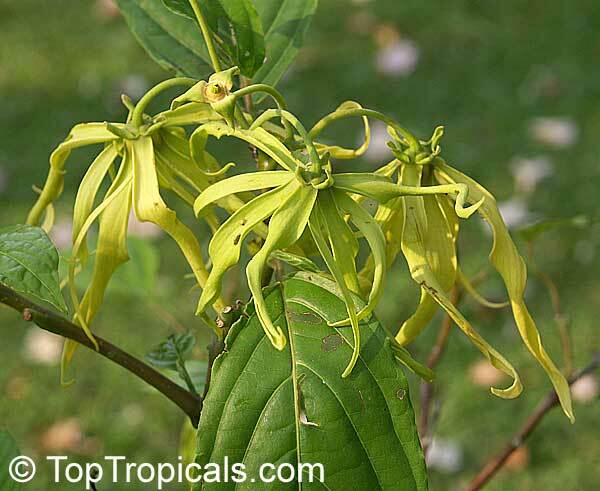 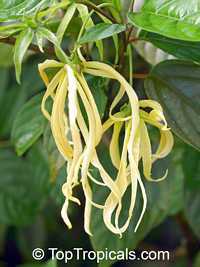 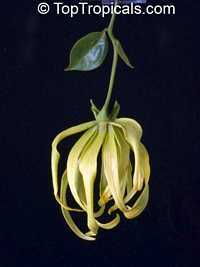 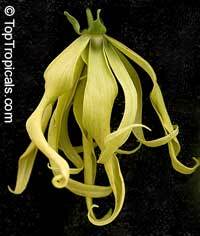 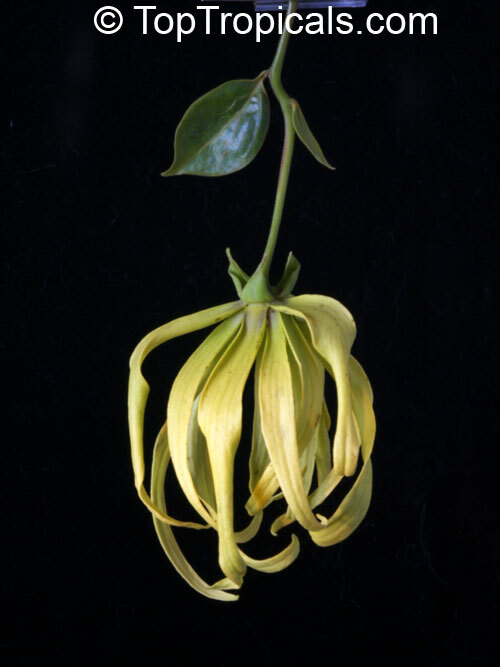 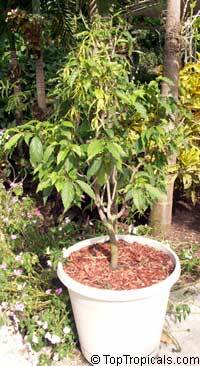 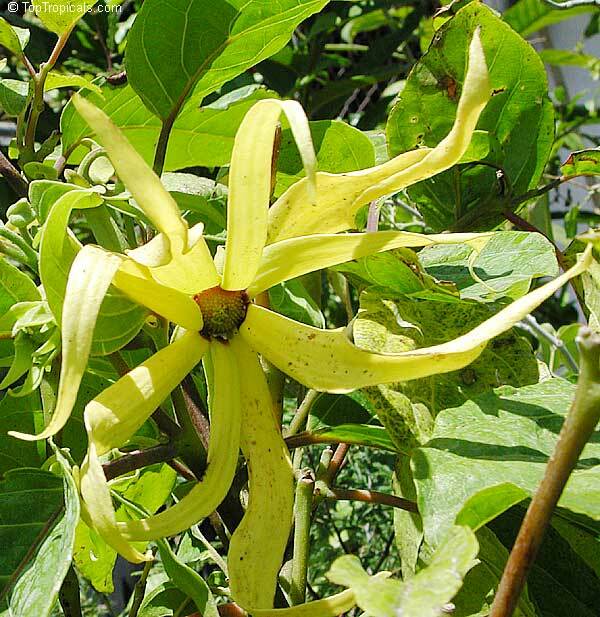 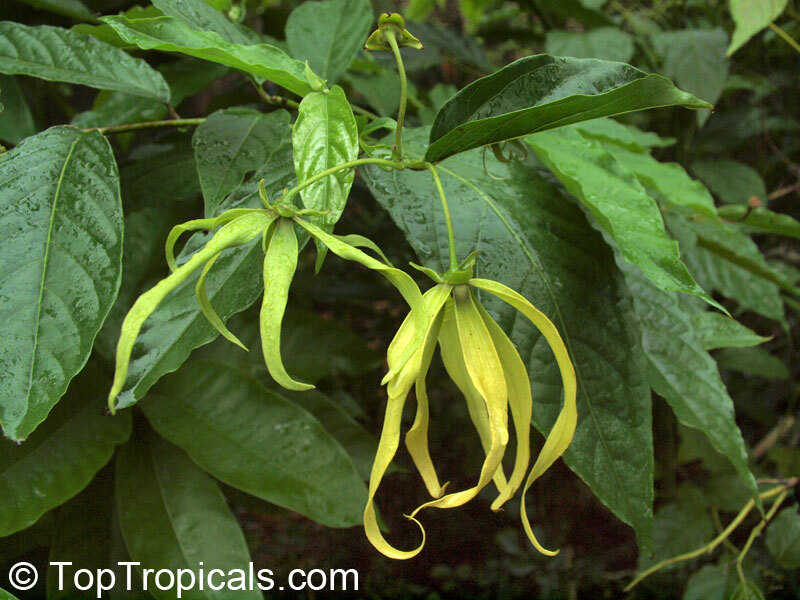 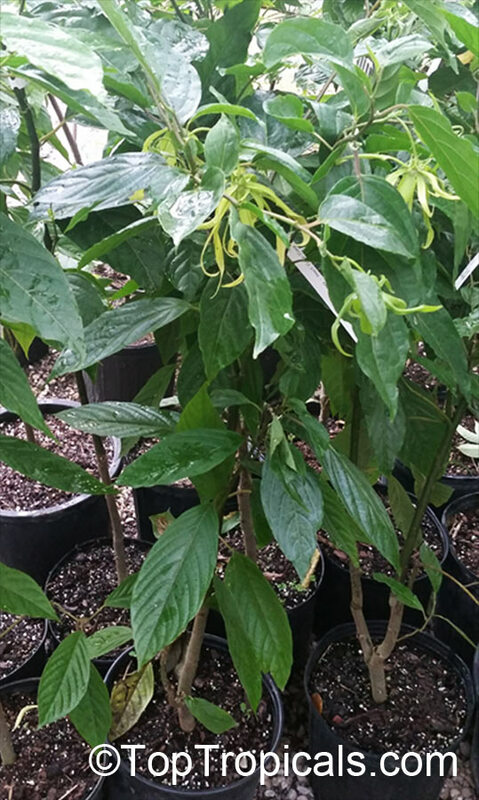 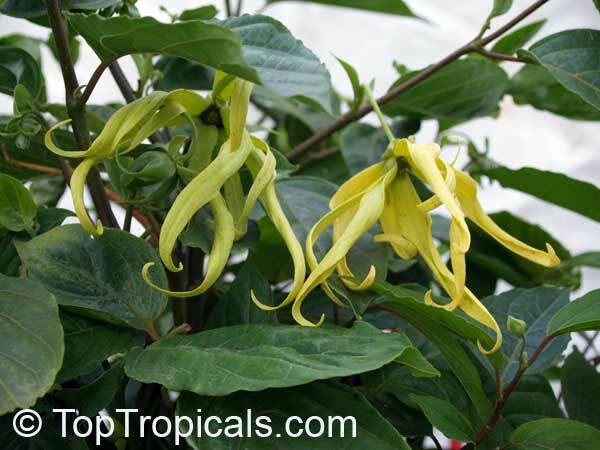 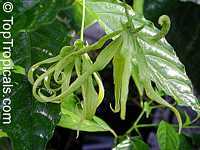 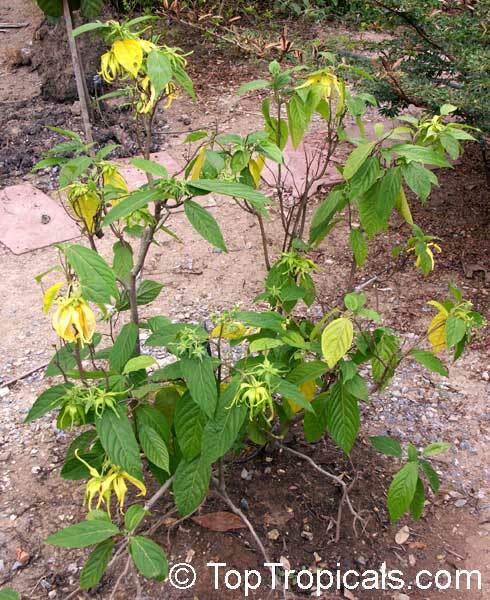 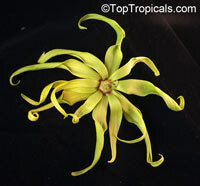 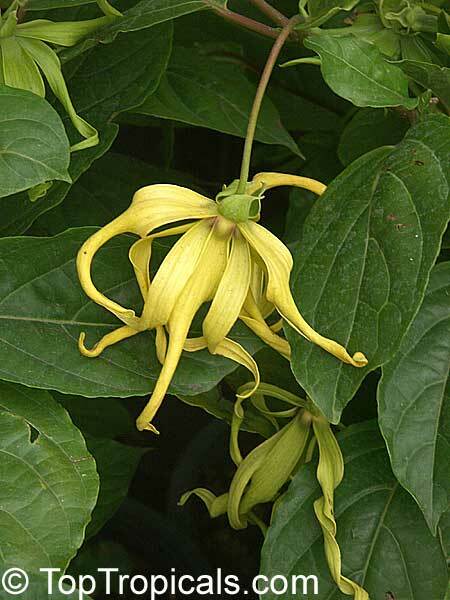 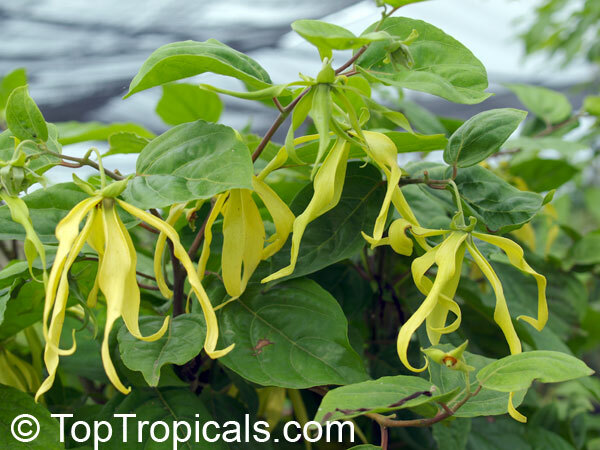 This dwarf variety of famous Ylang-Ylang is small tree or compact shrub with hightly scented yellowish flowers. 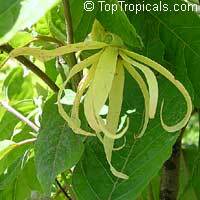 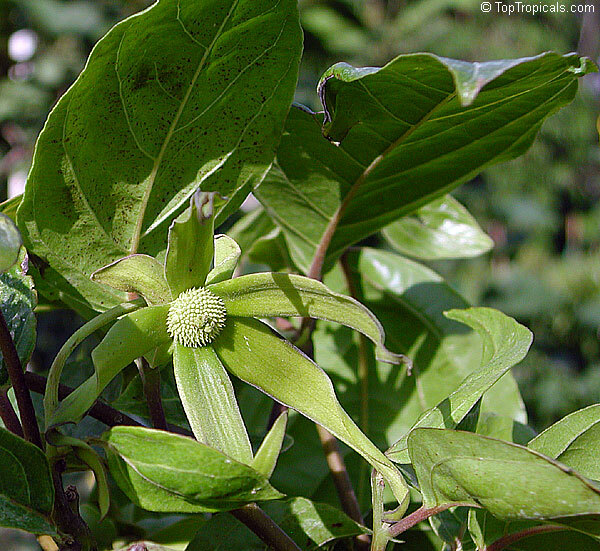 Fragrance is similar to Cananga odorata and the flowers also are used in perfumery. 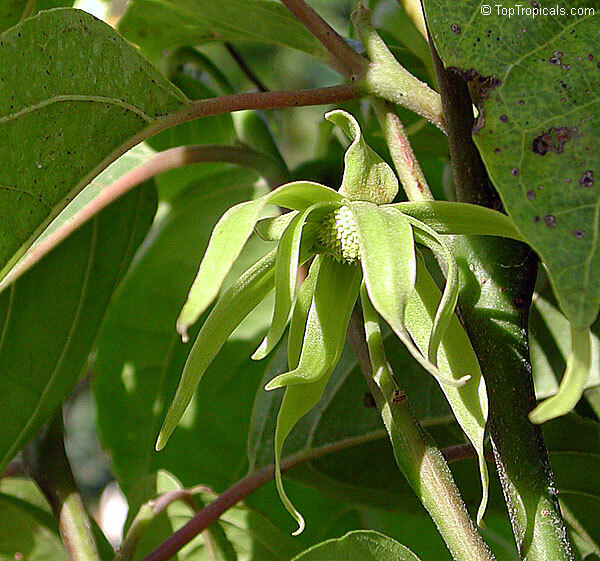 This plant is extremely valuable because of its compact nature. 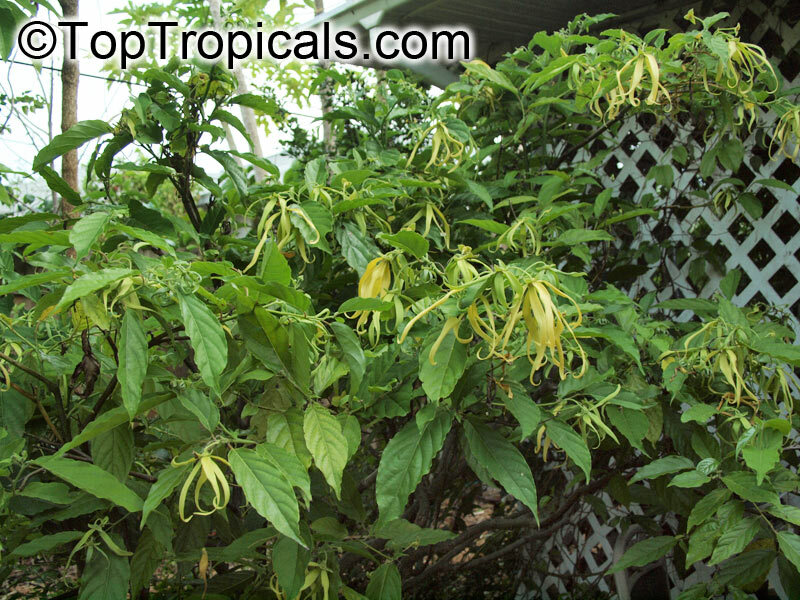 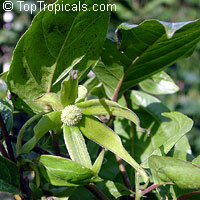 A bushy specimen, Cananga Fruticosa is a wonderful exotic plant that adds a sensual touch to any small garden or patio. 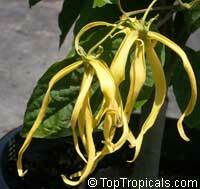 Blooms very profusely during spring and summer months, but also might bloom on and off year round. 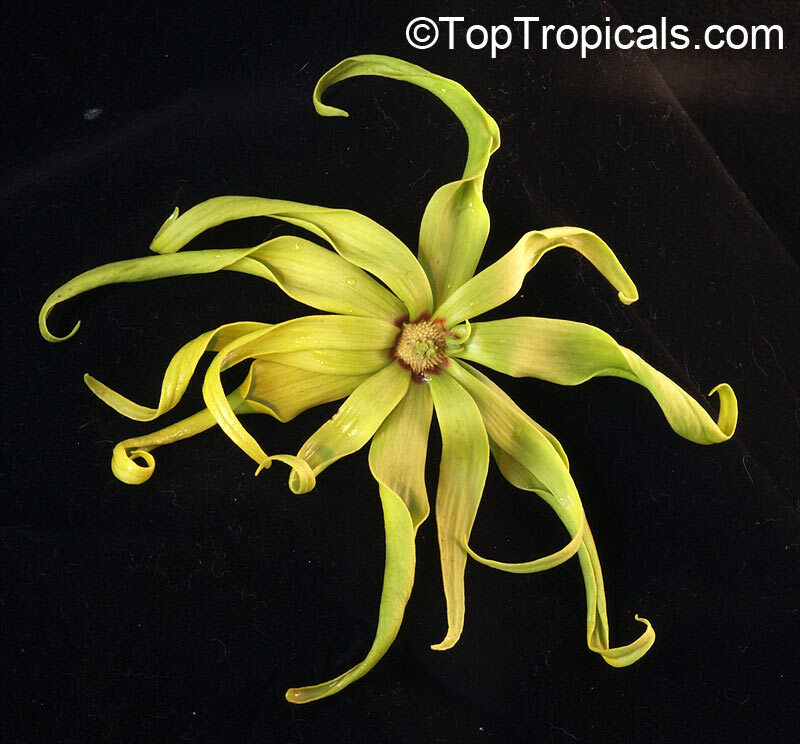 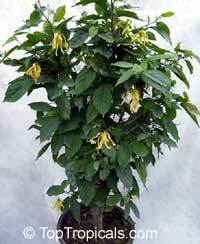 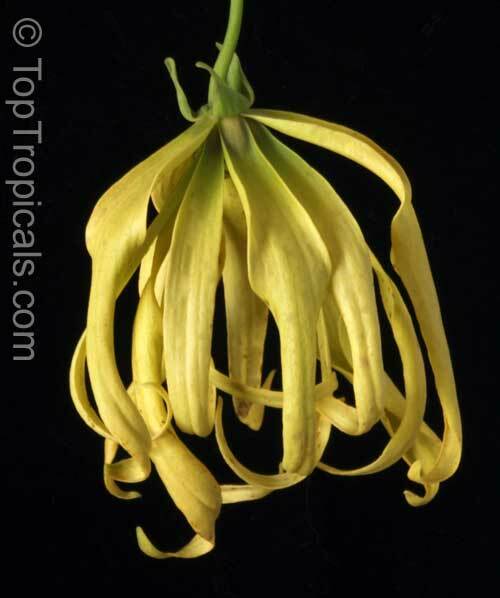 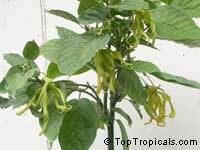 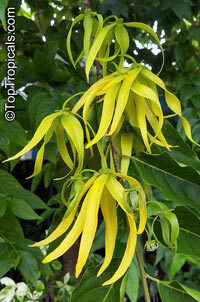 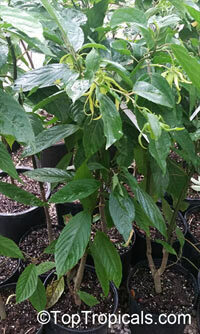 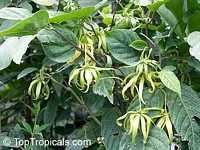 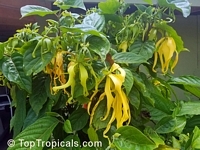 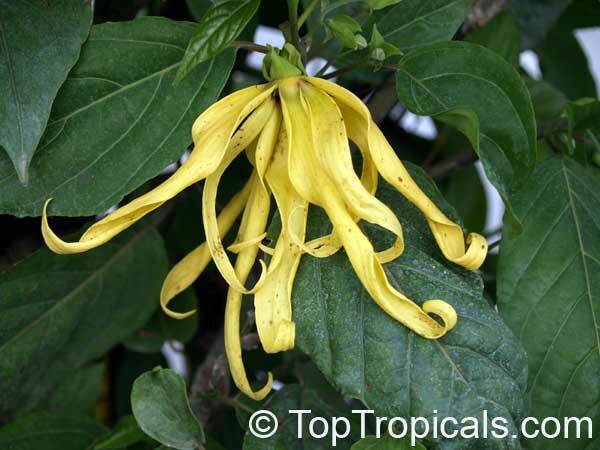 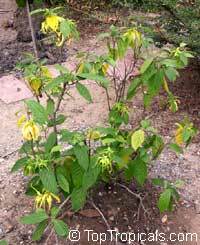 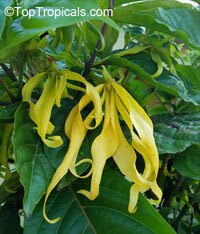 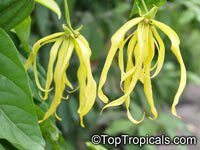 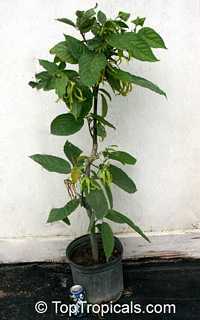 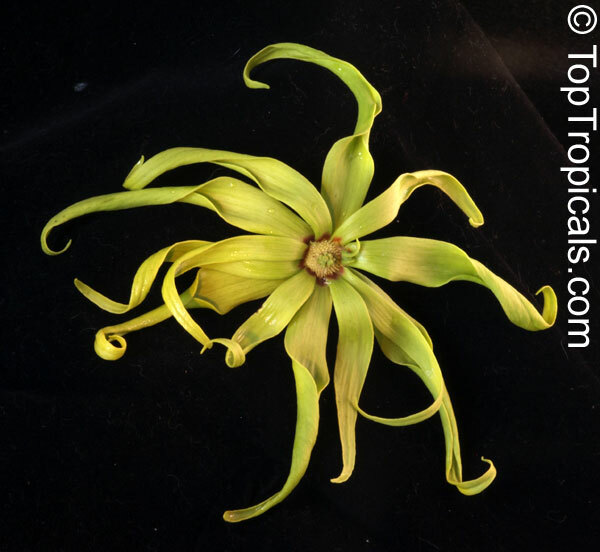 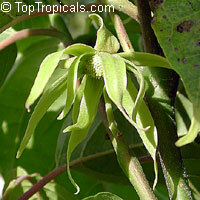 Dwarf Ylang-Ylang, small tree or shrub with highly scented flowers. This is one of the most desired and sought after rare fragrant plants. 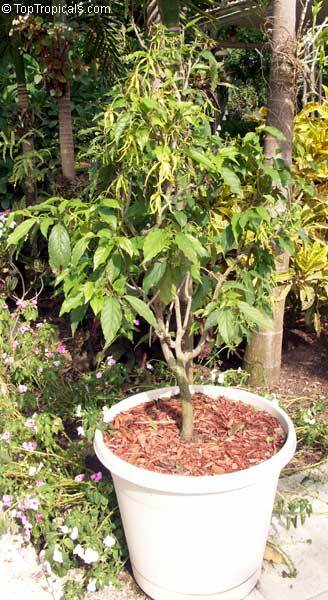 It is pretty easy to grow, stays compact and in nice tree-like shape. 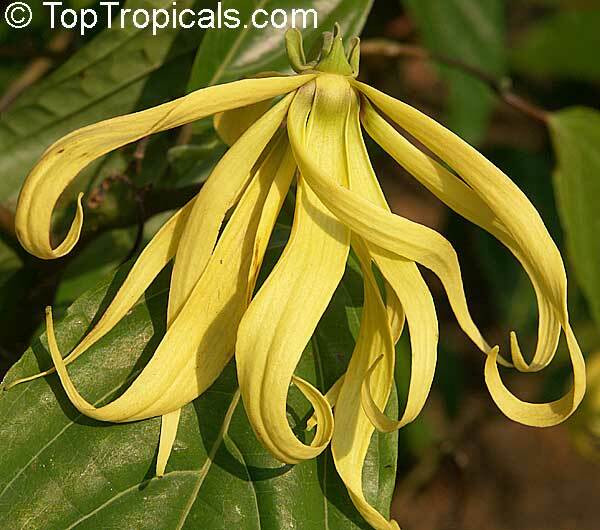 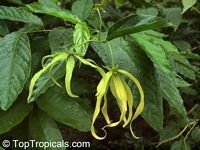 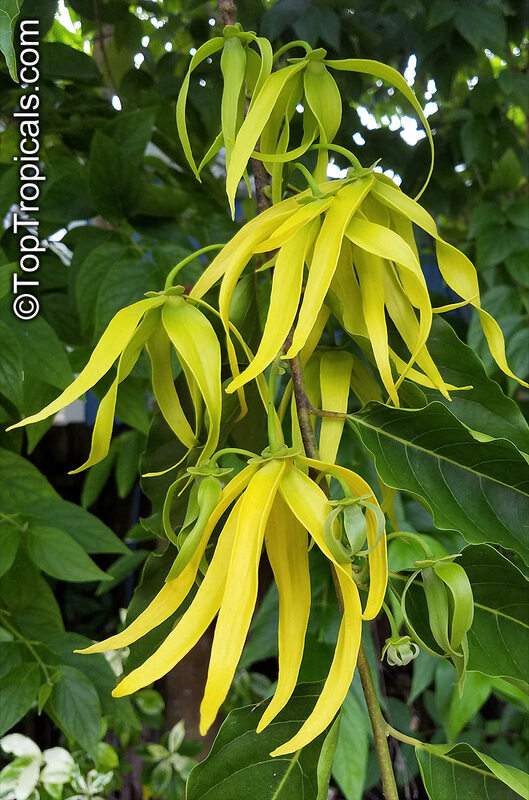 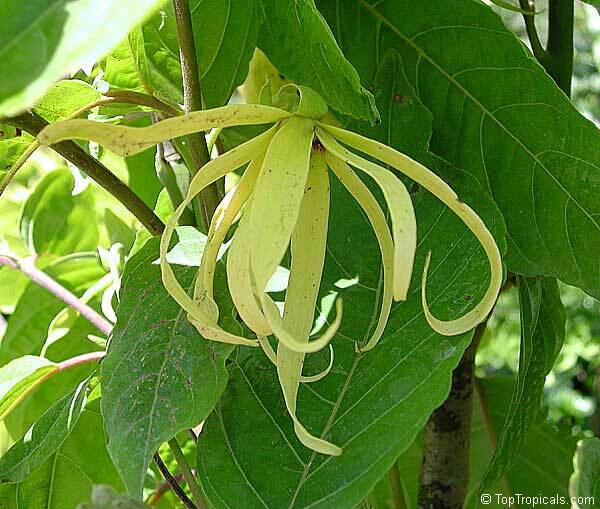 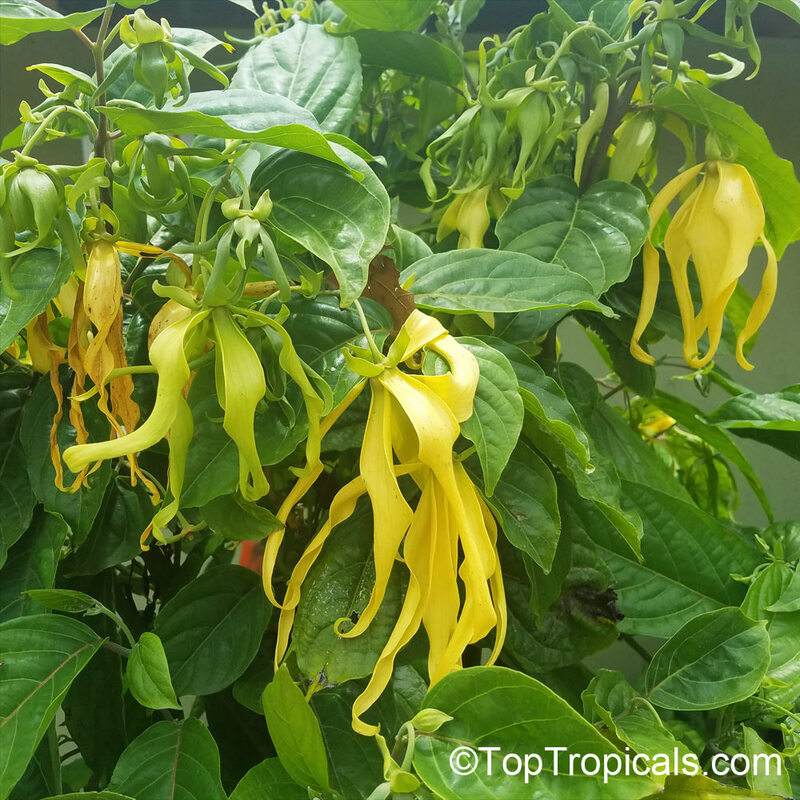 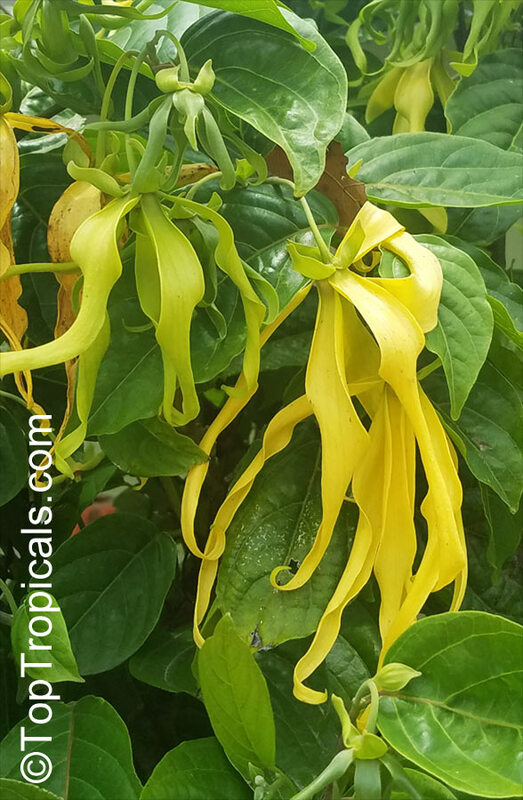 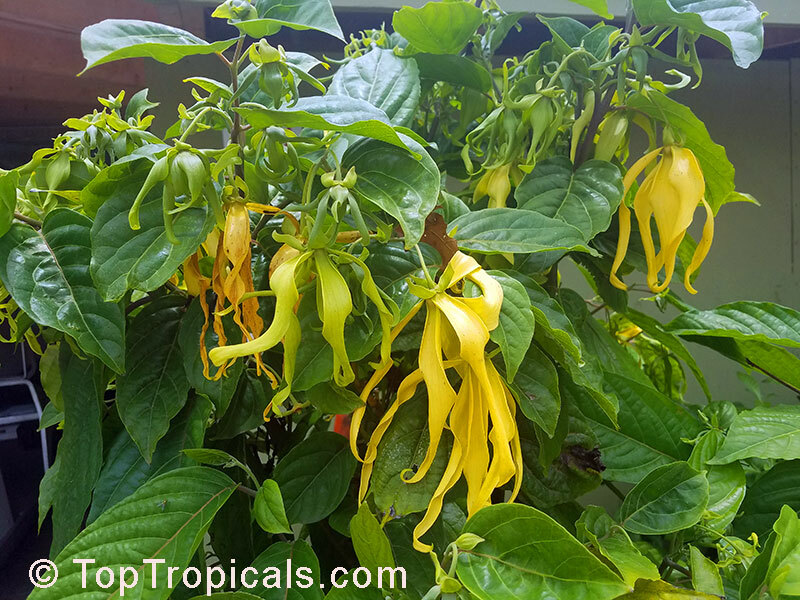 Flowers smell as great as full size Ylang Ylang tree, although sometimes fragrance may be less intense and requires warm and humid conditions for full aroma. 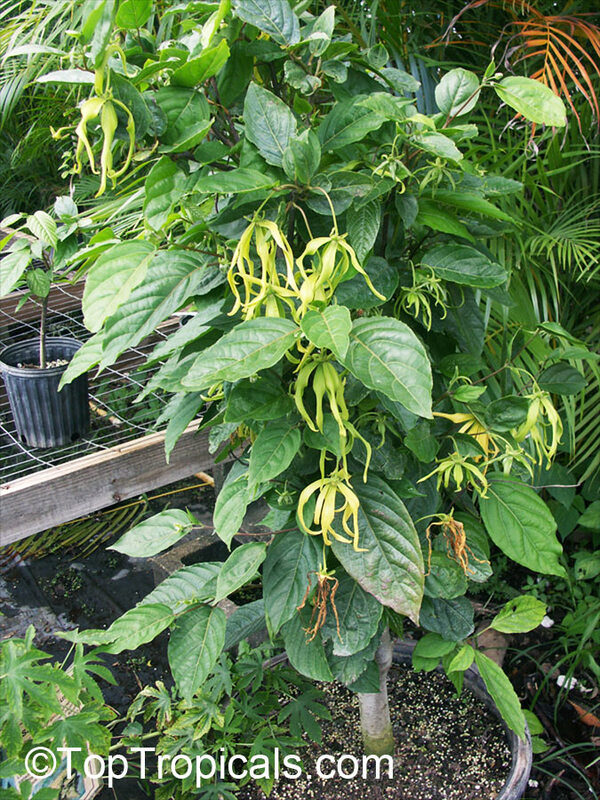 The plant blooms year round providing warm conditions. 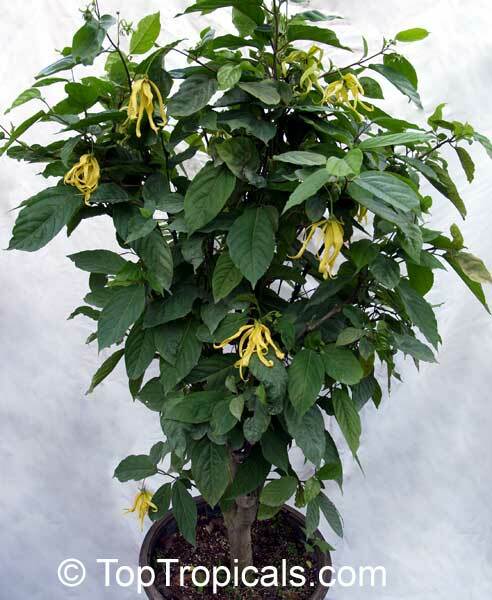 It can be also grown as a container and a house plant, but keep in mind it requires bright light for profuse flowering.This item is certified for shipping to California.